By the way, I was just wondering...does anyone want to confess to being the anonymous tipster who sicced the BLCE on Memphis Taproom, Resurrection Ale House, and Local 44? Because if you were to man up and admit it, I'd have a smidgen of respect for you, even at this late date. If you don't, and it comes out later, I'll happily lead the charge to spread your responsibility far and wide. I will not be taking any Anonymous comments on this post, by the way. Doing anything Friday, Lehigh Valley? There will be a minimum of 41 selections at this festival, with summer samplings of: 12 Allentown Brew Works beers, 6 Bethlehem Brew Works beers, plus Weyerbacher, Manayunk Brewing, Yards Brewing Company, Victory Brewing, and the Philadelphia Brewing Company. The brewers down the road at Boston Beer are bringing beers (hope they bring the Noble Pils! ), and homebrewers from Keystone Home Brew Supply and Lehigh Valley Homebrewers are bringing beers (you know: mad, cutting-edge, homebrewed beers!). I can't make it -- not around -- but you can. $30 in advance, and you can contribute more if you'd like. Investor C. Dean Metropoulos made a fortune building well-known consumer brands including Bumble Bee Tuna and Vlasic Pickles. Now, he is looking to wash them down with a Pabst Blue Ribbon. Mr. Metropoulos, a 64-year-old executive known for invigorating brands, has reached an agreement to buy Pabst Brewing Co. from the charitable foundation that owns the company for about $250 million, according to people familiar with the matter. Although little known outside of food circles, he earned a fortune managing brands such as Chef Boyardee, Duncan Hines and Ghirardelli Chocolates. With Pabst, Mr. Metropoulos is showing his deal-making skills. About 15 other private-equity firms, including Morgan Stanley's private-equity arm, had considered a bid, said people familiar with the matter. The purchase is in its final stages and has the financial backing of General Electric Co.'s lending arm, the people said. Pabst Brewing is the country's fifth-largest beer supplier, according to industry newsletter Beer Marketers Insights Inc., accounting for 2.7% of industry volume last year. 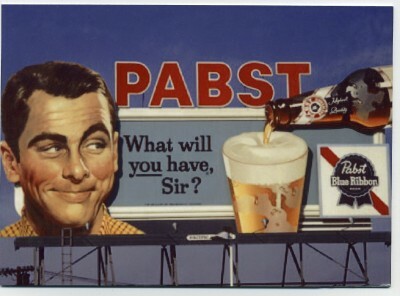 Pabst's blue-collar roots have made the brand-known among beer cognoscenti as PBR-a beer of choice for a generation of irony-loving hipsters from Portland, Ore., to Manhattan's Lower East Side. It's just me, but if Mr. Metropoulos really wants to "invigorate" this brand...he should buy/build a brewery for it. Give Pabst a home, Mr. Metropoulos; give it back its soul. And maybe give it back some hops while you're at it. Uncle Jack's plugging it, and so am I: the best event I missed at last year's Philly Beer Week...and I'm going to miss it again this year, dammit. The Phoenixville Pub Crawl is on June 5th, and features bars hosting brewers and brewpubs hosting...you. It was so much fun last year that Uncle Jack took a month to recover. I can't be there -- Thomas graduates that day -- so stand in for me, willya? Head out to one of the suburbs' best beer towns for some good beer and good fun. 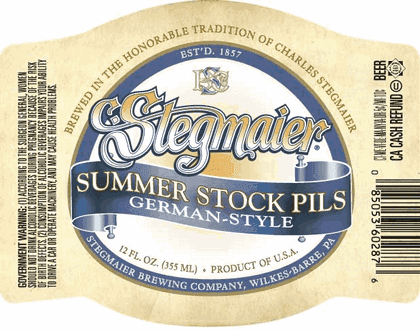 Hmmm...If Philly is America's Best Beer-Drinking City, and it is -- as I've said before -- a relatively small city in square miles with some of its best beer in the suburbs...what is Philly's Best Beer Suburb? Anyone? Far as that goes, can anyone tell me what county in Pennsylvania has the most breweries? Anyone? I'm going to be AWOL from much of Philly Beer Week: Thomas graduates from Holy Ghost Prep on June 5, so I'm not real focused. 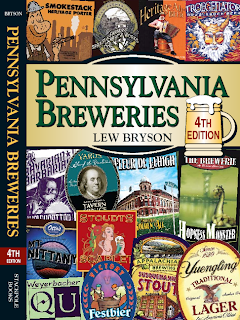 But I am hosting an event at the Grey Lodge Pub the next day, June 6th at 6 PM, the event that only the author of Pennsylvania Breweries could do: Scoats and Lew's Upstate PA Brewery Haul. The "Haul" itself is taking place this Tuesday, when Scoats and I will go get kegs from ShawneeCraft, Breaker Brewing, Berwick Brewing (where we'll be dropping off some empties, too: this is a full-service beer run), Bullfrog Brewery (Terry's cutting loose of one of his precious sour casks for us, and some bottles), Bavarian Barbarian, Copper Kettle (bottles only; they don't do kegs), Elk Creek Cafe, and Old Forge. I think this will be a Philly debut for Old Forge; might be for ShawneeCraft and Copper Kettle, too, but I'm not quite as sure about that. One thing I do know: this is the only place you're going to see all of these together and be able to sample them at the same time. I did deliver the PAB4 edits yesterday, by the way, and had a lunch with my editor, Kyle Weaver, that resulted in my sending him one quick addition to the book: Coakley's in New Cumberland served us a delish lunch (I had a Cuban quesadilla, Kyle had a generous shepherd's pie) and fresh, snappy glasses of Stoudt's Karnival Kölsch that really hit the spot on a surprisingly hot May afternoon. Coakley's: welcome to Pennsylvania Breweries! YOU! You bad licensee, you! Can you imagine? It would be like selling Lehigh Valley 1% Lo-Fat Milk from a dispenser marked "1% Milk." The scandal! And this is, after all, from "An Internationally Accredited Law Enforcement Agency." What a pathetic whining. Good news is, they're going to get the kegs back, and Leigh says when they do, they're going to blow it all out at $1 a glass! That's by way of saying thanks to everyone who stood by them through this ridiculous crapola. If you're not on the Local 44 e-mail list, get on it: that's where they'll be making the announcement. All's well that ends...stupidly, I guess. Except I don't really want this to end. I want to grab this and beat the agency to death with it. Don't forget this, folks. We'll come back to it. 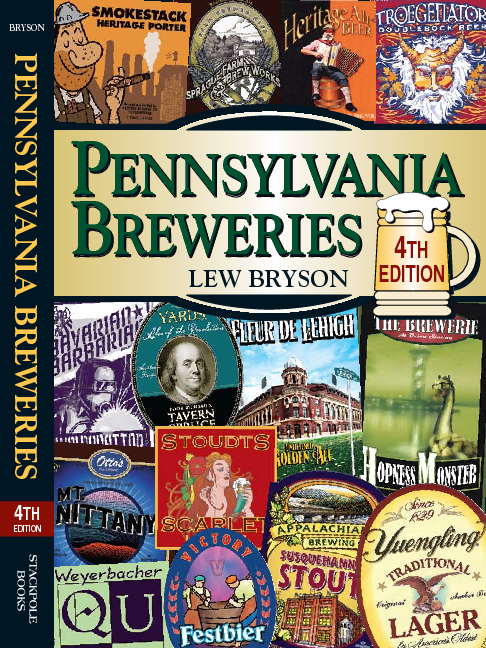 This latest edition has 74 breweries, almost 300 of the best bars in the state, lodging suggestions, nearby attractions for the road-tripping beer traveler, some history, and Lew’s rambling entertainments on brewing, craft beers, Pennsylvania regional food, the state’s best beer fests, and more. The 4th edition is 50% bigger than the 3rd, and almost entirely new material. Damn! I want to read that myself! It really is almost all new material, too. I'd say it's more than 85% new. This is not just the 3rd edition with new breweries. And bar-owners, too...could we get something straight? A "BREWPUB" is not a bar that sells beer, even interesting "micro-brewed" beer. A "BREWPUB" is a "pub" where they "brew" the beer they sell. It is a brewery. Don't brew beer at a place? Not a brewpub. Can we get this settled, please? Because you're screwing up my Google Alert, not to mention all the people who are walking into your place expecting fresh-made beer. Thanks. I know, I know: I don't have Part II on the PLCB hearings up yet. But I do have several new posts up on the PLCB blog, including this one on Stapletonstein's Monster (or, The Wine Kiosk That Refused To Die!) and this one on how the upcoming PA Supreme Court decision on the incredibly controversial (!!!!) 'beer in supermarkets' issue is really a no-win for beer distributors because of bad strategy. There's also a new poll...that's just slightly tongue-in-cheek. Happy Mother's Day! What did you get your mother? Cathy was far away today, but she's on her way home now, and when she gets here, I'll greet her with this "Gin Bouquet" I made. I should have clipped more of the Eastern Red Cedar greenery for decoration, didn't realize how flat it was. There's six different gins in there, a bottle of Martini & Rossi vermouth, Rose's Lime Juice, Fentiman's Tonic, Schweppe's Tonic, limes, and pickled onions. No glassware, we've got that coming out our ears! My mother was a bit easier. I got her a live rosemary bush (she likes herbs) and took her out for dinner: an Italian hoagie at her favorite sub shop. Mum's pretty casual. So...what'd you get your mother -- of yourself, or of your children -- for Mother's Day? Anyone else buy them booze? And if "standybs" isn't damning with faint praise, I don't know what is. Still...copious beer lists, careful beer care, and private taps in a private dining room all sounds good, and it's great to see more good beer in University City (almost as good as seeing more good beer in the Northeast: thanks for buying the Blue Ox, Scoats!). The food sounds awesome, too. The space looks gorgeous. Waiting for the "but"? Here it is: but there are little alarm bells going off in my head. I've seen too many overly-tapped places fail in Philly. There is a tradition in this town of keeping the taps in a lower range; possibly related to our one happy liquor-law-legacy, the requirement that taps be cleaned once a week, and that cleaning be logged. Cleaning taps is costly, in labor and in lost beer, and the more taps you have, the more it costs. Or maybe it's care for freshness. The long-decamped-but-never-forgotten Jim Anderson used a memorable term for the balance between less selection and more freshness: "Small and firm" vs. "big and floppy." I've been in places where there were lots of taps, and they kept them all flowing fast enough to keep them reasonably fresh: Portland, Maine's Great Lost Bear comes to mind, or Max's on Broadway (recently mentioned below) in Baltimore. You have to be scrupulous about cleanliness, you have to cultivate the right crowd, and you have to move the beer when it's been on too long. Start right up with 60 taps, smack-dab in the middle of a ton of college students? Maybe. Local 44's doing well, though they have fewer taps (and a lot fewer bottles) and they aimed right at the non-student population from the get-go. Look, I hope this works. Really, I'd be fascinated to see what's going to happen when a multi-multi-tap place succeeds in Philly, because it may boost this already draft-mad city to a whole new level. But Mad Mex already has a ton of taps in U-City, and they're not setting the city's beer scene on fire. One somewhat-related sad note: Tara Nurin notes the closing of Ortlieb's Jazzhaus...and now I'll never get to go. So many missed opportunities in this life; must stop going to the same places all the time. Bocktown Bar & Grill just reported on their Facebook page that Full Pint Brewing's shipping beer! Sorry we didn't post earlier today, but rest assured Full Pint Brewery is in the market, made in Pittsburgh! Two styles on tap, with one more due in next week! Congratulations to the birth of a new craft brewery in Western PA! It's about time! Congrats to Sean, Andrew, Barrett, Mark, and Sean! 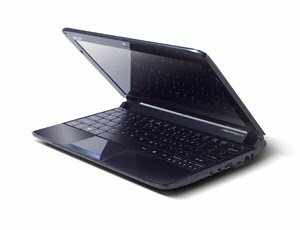 Took Don Russell's advice (because he's got big fingers like mine) and got a netbook, an Acer Aspire One. Gotta say, I'm loving this little thing. Great battery life, keys are big enough (I kept hitting the number keys in the middle of a word at first, but I learned past that pretty quickly), so much lighter than my 16" Dell, good ports, and it fits more places (like on an airliner traytable even when the inconsiderate sonofabitch in the seat ahead insists on reclining the whole way back). I got a little carry case for it (probably should have gotten something a little bigger; the cord doesn't really fit in there...duh). I'm liking the Windows 7 "Starter" that came with it, too; definitely getting the upgrade for this worthless Vista-install I've got. Then I downloaded Firefox and OpenOffice.org, which is working just fine for all I need. Fits nice on a bartop, too. A mere three weeks after they happened, I'm finally commenting on what went down at the PLCB hearings on the Memphis44Resurrection beer registration raids. * I went to the hearings, I sat through the whole thing, and here's what I have to tell you. I was one of the first people in the room. I wanted to see who came, in what order, and I wanted to get a seat. It didn't fill up, but it was close. The Harrisburg types -- the lobbyists, the bureaucrats, the legislators, the State Police officers -- were pretty cool, looking like all this was old hat, just another hearing. Well, except for Joe "CEO" Conti, who came in about 15 minutes before the hearings started and walked around in an apparent spate of nervous energy. Twice I heard him say, "Okay, let's go," a good ten minutes before scheduled time. Sorry, Joe, but the Legislature tells you what to do now. The hearings opened and Representative John Taylor, minority chairman of the House Liquor Control Committee, said right up front that this incident was bad publicity for the PLCB and the state, and that changes can be made. That would set the tone for most of what followed, as most of the legislators seemed avid for change. The first person to testify was Leigh Maida, co-owner of Memphis Taproom, Local 44, and Resurrection Alehouse, the three bars that were raided. Speaking quickly (I'm familiar with the kind of nerves testifying at one of these hearings can bring on if you're not experienced! ), she laid out what happened. She noted that all the beers were acquired through "reputable wholesalers," that she had receipts for all of them: nothing off the books or from out of state. She said that they had tried reasoning with the agents, but that they were clearly not there to make decisions, just to carry out their orders. She took pains to describe the Bureau of Liquor Control Enforcement (BLCE) agents as "friendly and professional." We heard how nine out of 16 seized brands were returned as actually registered (the BLCE officials would recount just how incompetently the PLCB handled that end of it, and it was clear that they were pained and embarrassed about that part). Leigh admitted that some of the beers were indeed not registered. "We're waiting to find out how much trouble we are in," she said. "Which we are, despite how [the unregistered beers] got there." She went on to make some general comments. Beer sales have changed, she said. There used to be huge sales of a few brands of beer. Now there are huge numbers of brands (over 2,800, by the PLCB's count). Brand registration discourages craft beer. The availability of rare craft releases in Philly and Pennsylvania drives tourism, good press, and jobs, she said, rightly. The system needs an overhaul. She was clearly upset that an "anonymous complaint" could "manipulate a state agency;" she suggested that it would be smarter to prioritize what is investigated. "Nuisance bars and underage drinking? Sure," she said. "That should be a priority of those whose living this is, too." Then she got into more controversial stuff. There should be a common understanding of the Code. Interpretation is an issue when it's the agent on the scene making decisions. "I'm not contacting the LCB anymore," she said, citing agency policy that all answers to queries from licensees are copied to the BLCE, which, she said, implies that the agency expects that if you're asking, you're doing, and should be investigated. "I'd like to know when there are changes in the laws," she said, and noted that it would be nice to have all the stuff licensees have to know in one place. She summed up: "We are heavily taxed and under a heavy set of confusing laws." The legislators asked questions. State Rep. Robert Donatucci, the majority chairman of the committee, noted that it takes more money to enforce brand registration than the $75 fee brings in (I'm guessing that's based on the money the BLCE spent on the raids). Senator Pippy mentioned that the Pennsylvania Tavern Association did educational work on the Code; did Leigh belong? "No." Given that the current top legislative priority of the Association is legalizing "small games of chance," I'm not surprised. At this point, Brendan, who'd been sitting quietly by Leigh's side, grabbed the mike: "I work an 80 hour week to make these businesses run, I want to run a legal bar, a non-nuisance bar. The actions the PLCB took with beer registration don't lead me to want to check with them on whether I'm legal or not." There was some discussion about how much latitude the BLCE agents had on the spot. Then it was Representative Mike O'Brien's turn. 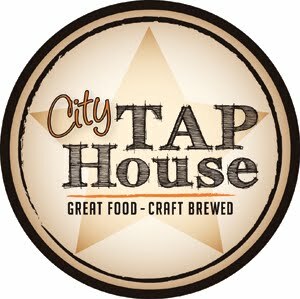 He said that Memphis Taproom was not in his district; however, he said, if you stepped onto their front steps and spit, it would land in his district (which endeared him to me; very folksy for a city guy), and he lives within 500 feet of the taproom. He began a pattern of questioning that would reach hilarious heights when he talked to Dominic Origlio later. "Are you a licensed tavern?" Leigh: "Yes." "You ordered these beers from a licensed wholesaler?" Leigh: "Yes." "Did you have any reason to believe it was not legal?" Leigh: "No." "Was it delivered by a God-fearing member of Teamsters Local 107?" Leigh: "Yes." "Please give me a feel for the bar. Is it true that if I went there on a Sunday morning, I would find the Sisters of St. Joseph from St. Anne's Parish there for brunch?" Leigh: "Yes." And Brendan leaned in and added: "They're there on Saturdays, too." Which brought down the house. After we'd recovered our composure, O'Brien concluded: "To say what has happened to you was unfortunate would be an understatement. As a resident, I'll thank you; as a legislator, I'll apologize. You have set us on a path to correct this." Next up was Dominic Origlio, the owner of Origlio Beverage in northeast Philly (full disclosure: I write for Origlio Beverage's company newsletters). They were raided as the wholesaler who had supplied many of the unregistered beers. Dominic's opening statement included (and these are direct quotes, from a printed copy supplied to attendees): "...while my company now checks the Liquor Control website daily to be certain that all the brands we represent are properly registered with the State, brand registration has never been the responsibility of the importing distributor." He continued: "Last year we remitted approximately $11 million in tax revenue to the Commonwealth." And added: "Through meticulous record keeping, we can easily access complete lists of our customers who retail a particular beer." He brought up this last to segue into his company's role in the Samuel Adams glass recall in 2008, a successful exercise in consumer safety...no thanks to brand registration, which had nothing to do with it (please remember this; I'll refer back to it during Conti's testimony). Then he took umbrage. "To the best of my knowledge, Origlio Beverage and the LCB have always worked together in a spirit of mutual respect and cooperation. For this and other reasons, I was extremely perplexed by the actions taken by the State Police. That being said, you can imagine our shock and dismay when armed agents of the Pennsylvania State Police raided three Philadelphia bars based on an anonymous tip stating that beer, which had not been properly registered with the State, was being sold. I can only speculate that this tip came from the bars' competitor who was not allocated these limited production beers. Let's be clear about this; armed officers were deployed to check on registration papers." It wasn't just money and time that was lost in the raids, Dominic reminded the legislators. "I was personally embarrassed and my employees, whose dedication cannot be called into question, were demoralized... The entire organization was reeling. Many of them asked, "What have we or the company done to deserve this kind of treatment?" Still others were concerned that they would lose their jobs." Then we got to the nut: "Many of my customers want to know who would file such a complaint against a retailer. Was it just a matter of sour grapes from the anonymous caller who did not receive these limited production beers? What would have happened if a bar's patron was running from the police while they were investigating such a minor offense in such a vigorous and intimidating fashion? ... A lot of things could have gone wrong, and I submit that the entire matter could have been handled with a few simple phone calls." He brought up alternatives. "I believe there is a huge disconnect between the LCB and the State Police, which are responsible for enforcement, resulting from the elimination of the Malt Beverage Compliance Unit which reported directly to the LCB's Board Secretary." He went on to explain that the MBCU was the recommended agency to handle these problems, and that they dealt in written notices of non-compliance...but the MBCU was eliminated. "The personnel who had worked so closely with our industry on these matters were dispersed, which resulted in the immediate and complete loss of experience in dealing with such matters. Enforcement was delegated to the State Police, and so we sit here today discussing what went wrong in March. If the MBCU allowed 24 to 72 hours to correct registration errors, why wouldn't the State Police do the same thing? And there was an interesting thing, the closest we got all morning to anyone stating out in the open why we even have brand registration: "Now the Bureau of Licensing accepts brand registration applications and territorial franchise agreements (my emphasis) that the Liquor Code requires to be filed." I do believe that brand registration exists so that the State can enforce business agreements made between wholesalers and manufacturers/importers. I don't like that. Let them enforce it themselves in civil court. He concluded with a point that should be made every day by beervolk in the Commonwealth. "I would be remiss without mentioning what I believe is the underlying cause of these regulatory and enforcement problems. Pennsylvania's beer industry is regulated by its competitor -- the Liquor Control Board, a state run corporation which sells wine and liquor. The board consists of three members appointed by the governor. To my knowledge, not one of the sitting members has any experience with the intricacies of selling beer in the Commonwealth. I ask you all to please consider the wisdom of requiring that one of the members be a representative of the state's beer industry or at the very least someone who is [a part of] or has a working knowledge of the beer industry." And then there were questions (we're into approximate quotes again). Representative Taylor (who was looking progressively more stormy as the hearings went on): "How does a beer become unregistered?" Dominic: "Not my responsibility. I'm pretty up to date on the Code. This completely escaped me." Representative O'Brien was short and sweet. "If you don't mind, Mister Origlio, could you share with us the gross sales of your business last year?" Dominic: "$230 million, sir." "And how long has your family company been in business?" Dominic: "Since Repeal, sir." "And in all that time...have you ever been raided like this before?" Dominic: "No, sir." "Thank you. I have no further questions." I loved that. Senator Larry Farnese (who had said he would try to turn these hearings into a forum on why it takes the BLCE so long to shut down nuisance bars) asked if with all the different brands -- "it's a nightmare" -- was it easier to register them or not? Dominic: "I believe they should be registered." Farnese concurred that there is a disconnect between the PLCB and BLCE...and then did his nuisance bar thing. "You have to deal with this, but nuisance bars stay open. Can you explain that?" (which really wasn't fair, but Dominic rose to it quite readily) Dominic: "The State Police will investigate any tip; every tip is investigated. But the headline in the papers is "Philadelphia Wholesaler Raided." It's embarrassing, and we shouldn't have to deal with it." Senator Pippy suggested -- to general head-nodding -- "Why not take a picture of the label and put it in some kind of database? It sounds like an easy fix." Well, yeah...only doing away with it entirely would be even easier. Anyway...that was half the morning. After this, it would be the turn of the PLCB, the BLCE, and a surprisingly relevant Artie Tafoya of Appalachian Brewing. Stay tuned: more blow-by-blow, and then analysis. *It hasn't been easy: I left the next day for Sierra Nevada (which is next on the list! ), took Thomas to last visits at Vassar and Penn State (he finally decided he'd go to Boston University last night), and, of course, had plenty of wonderful paying work I had to do in there as well. Not making excuses, but you deserve to know why this took so long. Penn Recovery Continues: Restaurant now open! Penn Brewing continues to stage their awesome recovery from the brink of disaster last November. First it was draft, then growler hours...now the restaurant has re-opened! The grand re-opening fun is tomorrow, but they've been open since Friday the 30th. Here are the menus for lunch and dinner. Pittsburgh seems to be the place to be this month...but Philly Beer Week is coming fast! I did the Vodka issue cover story for Massachusetts Beverage Business again, and I remembered and rediscovered the romance of the liquor. Back in the day, I was a straight-up vodka man. I’d started swilling vodka mixed with anything sweet, but then I met a Russian girl who challenged me to drink chilled half-ounce shots of Smirnoff with her. I was hooked. I never saw her again, but I retained a love for the subtleties of straight vodka. There’s not a lot of us. “1O% of my clients drink it straight,” said Ryan Maloney at Julio’s Liquors, “and I’m probably exaggerating." I got excited, and I challenged the retailers I was writing for to get excited again as well. Clear glass and vibrant color; anonymous buzz in a Bloody Mary and teasing subtlety in a ritual glass; faceless Slavic liquor and storied European spirit; bottom shelf rocket fuel, solid reasonable value, and high-priced luxury badge; anesthetic, inspiration, refreshment, amusement, tasty temptation, and effortlessly sophisticated companion to the finest caviar . . . To call this protean liquor “colorless, odorless, and tasteless” sells it terribly short. If you’ve been pushing it without romance, maybe it’s time to think again about what vodka is, and what it can be. I'm looking for thimble glasses, and planning a zakuski party. I know you're all waiting on several things, and I will get to them, but...something else first. Back in January I got a box of samples from Fentimans: non-alcoholic, naturally flavored soft drinks. We tried them -- the Curiosity Cola (quite different), the Dandelion and Burdock (not pleasant, I'm afraid, kind of like bubble gum and meat), the Ginger Beer (good, but there are others just as good for less money), and the Victorian Lemonade (meh...but more on that later). There was a bottle of Tonic, but it was hardly G and T weather, so we put it aside. I didn't blog on them, because unless something's spectacularly bad, I don't generally blog on things that are so-so. Then it warmed up, and I asked Cathy if she felt like a gin and tonic, her preferred hot-weather tipple. I sliced up a lime, cracked some ice, poured in a measure of Burnett's Gin (which alternates with Gordon's as our house gin), and fizzed in the Fentimans Tonic. Cazart! What an awesome drink...and look, we buy Burnett's because it's good (and quite reasonable in price), not because it's wonderful, but this stuff took Burnett's by the hand and led it to the promised land. What a fricking zing in a glass. Then I tried some gin in the Victorian Lemonade: we split on that one, I loved it, Cathy hated it. Try that yourself, but I think I may have to try some of that Schweppe's Bitter Lemon stuff. 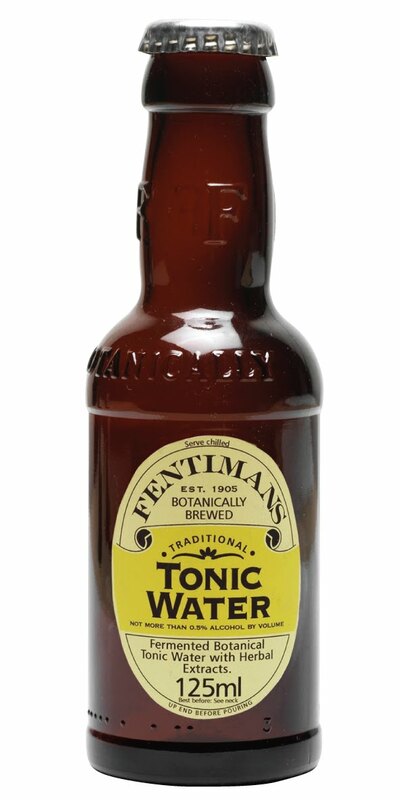 We're finding more Fentimans. I suggest you do likewise, before Memorial Day and the traditional start of the G and T season. East End Brewing's launch of Pedal Pale Ale, Scott's summer seasonal, traditionally begins with him delivering the first keg(s) to a surprise Pittsburgh bar location by bicycle...and he invites you to go along. Last year over 500 thirsty fans followed! This year's Pedal Pale Ale Keg Ride is on May 14th. I'd hoped to go out for this one, but I'm doing a whisky tasting that night here in Bucks County, so I'll have to wait another year. You can go, though: here's the info, and a link to register.